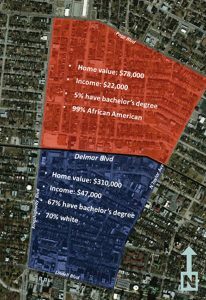 Problem: Segregation and racial inequality are a problem that have persisted in America throughout history and have continued to be a problem today. Racial inequality caused by segregation has created an unequal education system that impacts the rest of student’s lives. St. Louis is a city that has experienced this problem for a very long time and is one of the most segregated cities in America. There is a staggering achievement gap between races in schools that impacts students for the rest of their lives. 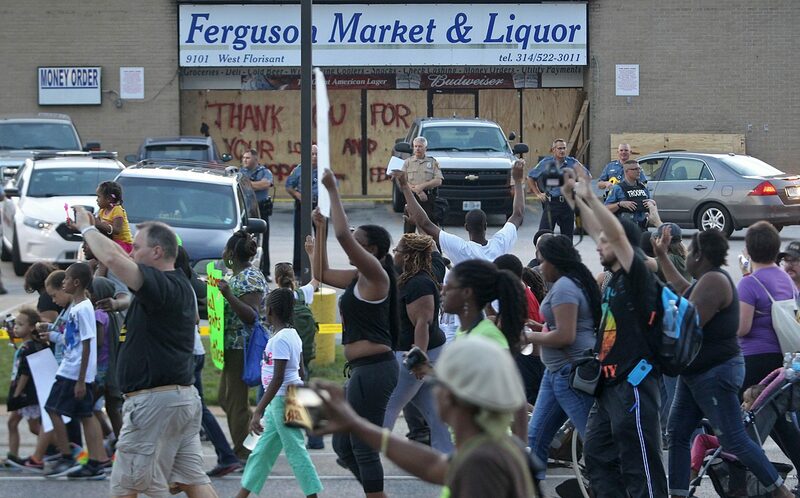 Recent events such as the protests associated with the Michael Brown situation in Ferguson have shined a spotlight on the racial inequalities in St. Louis. There has been legislation passed throughout recent decades but no real change takes place. Grassroots organizations have the ability to start a movement to create substantial change in St. Louis and throughout the nation. 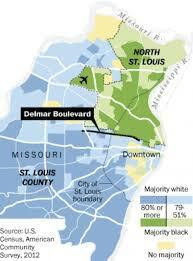 The “Delmar Divide” is a street that runs east to west through the St. Louis metropolitan area. There are big differences between education attainment, income, and race in areas north and south of the divide.